A $50,000 donation to the Park Place Outreach – Youth Emergency Shelter from the Joseph & Mary Dobransky Foundation will help the temporary shelter and outreach service continue to serve at risk youth in the Savannah area. (SAVANNAH, GA) Park Place Outreach – Youth Emergency Shelter, a temporary shelter and outreach service that serves youth from Savannah and the surrounding area, has received a $50,000 donation from the Joseph & Mary Dobransky Foundation. Linda K. Hilts, Park Place Outreach’s executive director, said the funds will enable the shelter to provide more than 250 nights of care for an individual or 1,800 hours of counseling. 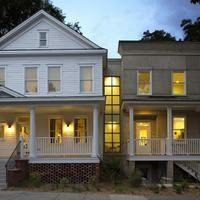 In 2009, the Joseph & Mary Dobransky Foundation donated $50,000 for the completion of the Dobransky Outreach Center, which is located on the lower level of Park Place Outreach’s facility at 514 E. Henry St. The center serves as a haven for youth seeking a safe after-school place to do their homework and relax. Joseph (Joe) Dobransky, a member of the Park Place Outreach – Youth Emergency Shelter Board of Directors, is a retired regional vice president for UPS. He served in the United States Navy after graduating from high school, then later began working as a driver for UPS. Over the years, he worked his way up the ranks of the company, serving in key positions in Ohio, Illinois, New Jersey and Texas. Today, Dobransky and his wife, Mary, call Savannah home, dedicating their time to charitable organizations such as Park Place Outreach and America’s Second Harvest food bank. Mary is also involved in P.E.O (Philanthropic Educational Organization), an organization that promotes educational opportunities for women. The Dobranskys have been married for 58 years and have six children, 15 grandchildren, and eight great-grandchildren, with two more on the way.